Home - Smart Imaging Systems Inc.
Smart Imaging Systems is a forward-looking security technology company developing next generation inspection systems. The company’s award winning founding scientists and engineers with decades of experience at NASA in developing ultra miniature, ultra sensitive, high performance detectors and electronic systems have used similar technology to build next generation X-ray systems for security applications. - For explosives and Contraband detection. 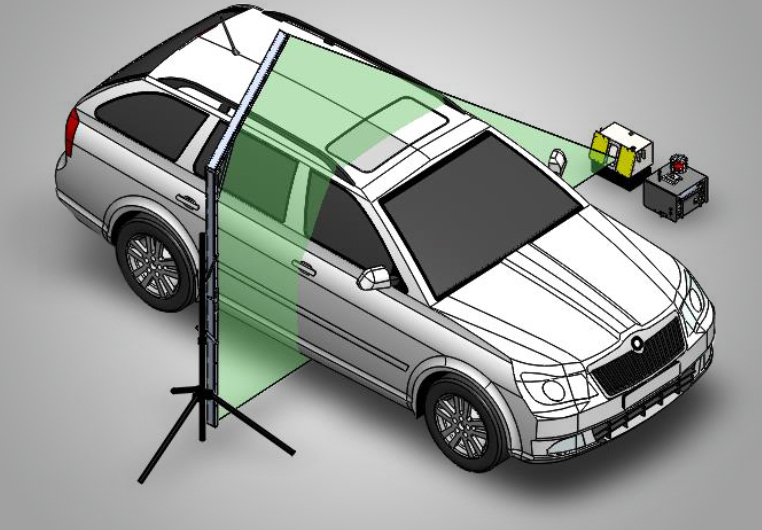 Revolutionary technology shrinks the scanner size to make it ultra compact and hand portable that easily fits in the trunk of a passenger car; operates on small batteries instead of requiring power generators. With increasing risks at public venues like airports, sporting events and city streets, the need for safe rapid detection of IEDs is acute. Utilizing SIS’s revolutionary technology answers that need with miniaturized robot mounted sensors. Left behind packages can be scanned rapidly, at a safe stand-off distance. A backpack left on a crowded street. A small bag left in the corner of a busy terminal. 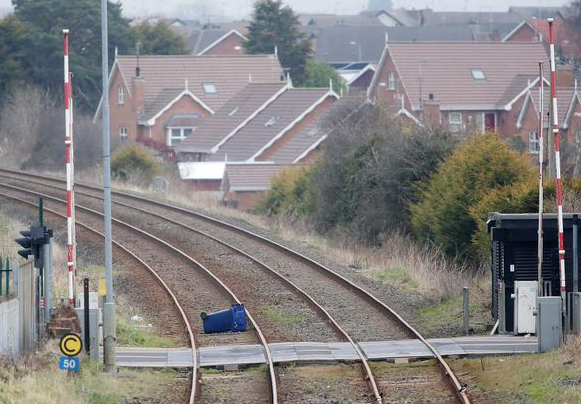 These are all areas where explosive devices have been found and ready to detonate and harm people. In today’s law enforcement environment, First Responders are more sensitive than ever to the possible existence of explosive devices. 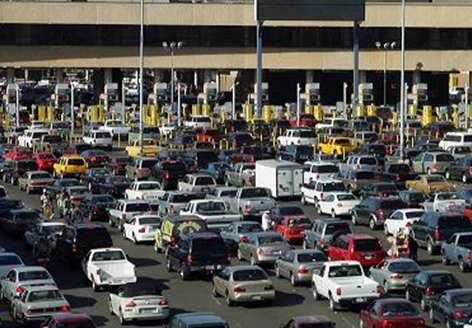 Customs officers have the unenviable task of scanning cars for threat items and contraband that may include ammunition, weapons, explosives and drugs. Today’s scanning technology is very expensive, time consuming and challenging to fit into a fast-tempo operation scheme. 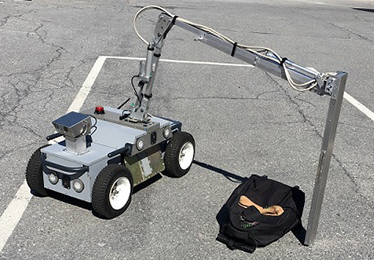 Developed by the US Government to fill the gap between large truck mounted systems and small handheld systems, Smart Imaging System’s MXR delivers a new dimension to the screening of suspicious packages. 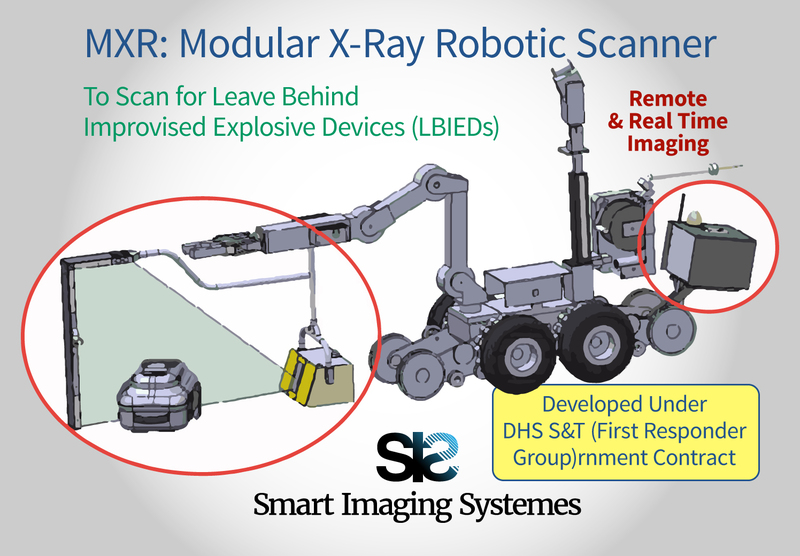 The versatility of the CXR system enables the impromptu scanning of motor vehicles for drugs, weapons and bombs.